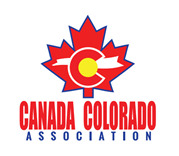 The Canada Colorado Association has partnered with the University of Denver to offer its members discounted group tickets to the season-opening DU Hockey game vs. the University of Calgary at 6pm on Sunday, Oct 4th, 2015. Members are invited to gather before the game and during intermission in a reserved private room near the southwest corner of Magness Arena on the main concourse. Light snacks and a cash bar will be available. Tickets are $10 (normally $19) plus fees and MUST be purchased online. Offer expires at puckdrop! See you at the game! !